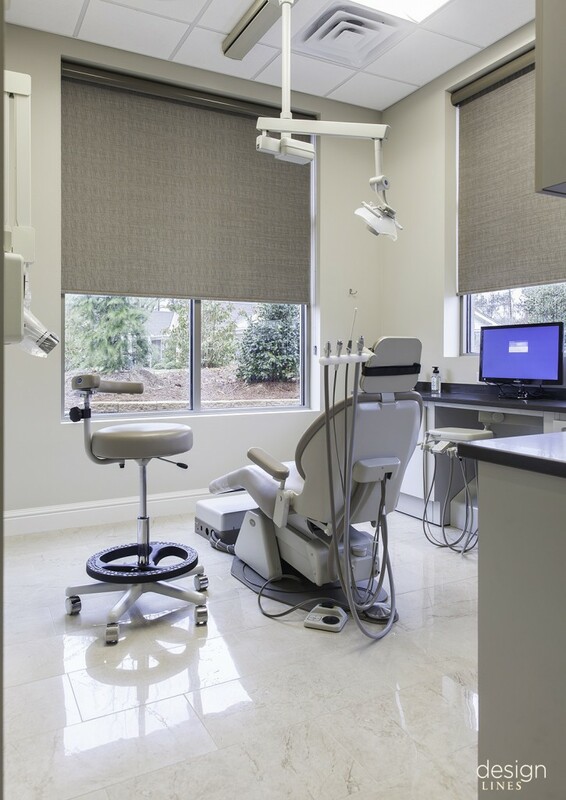 Current Projects: Modern Medicine for Cary Endodontics | Design Lines, Ltd.
Who says a commercial space has to look like one? 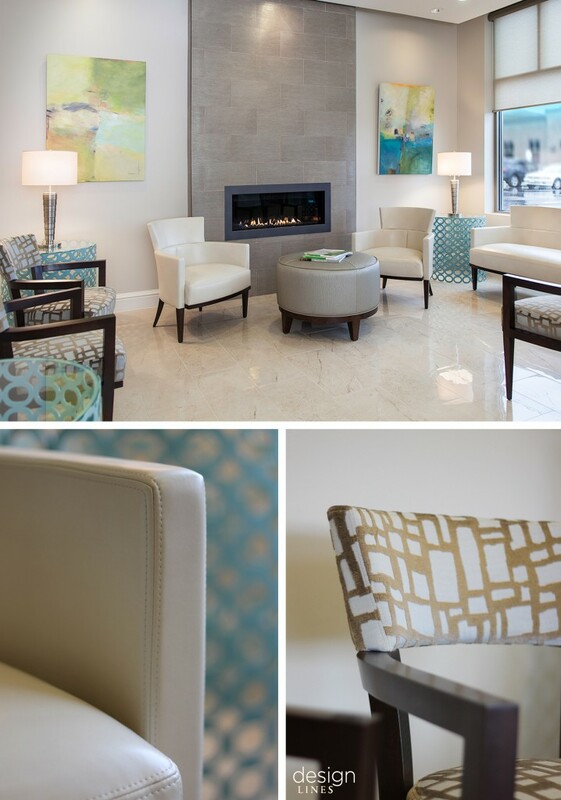 In this recent project, we helped our client feel at home in his new workspace. 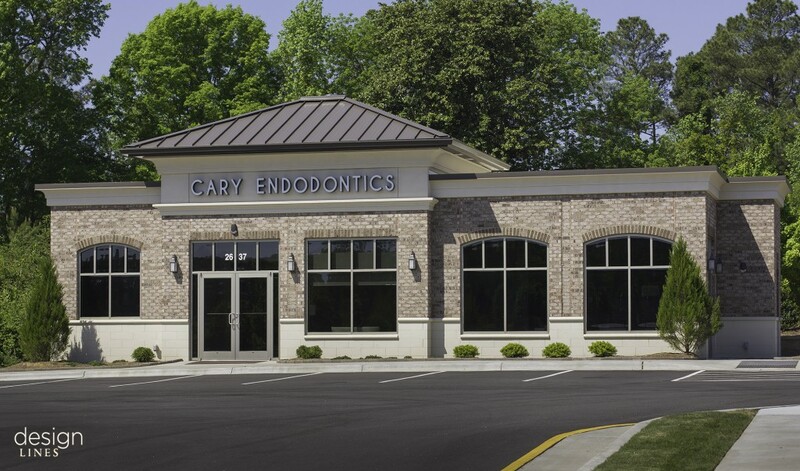 When our client wanted an inviting place to put patients at ease, Rob jumped at the opportunity to design Cary Endodontics from the ground up. 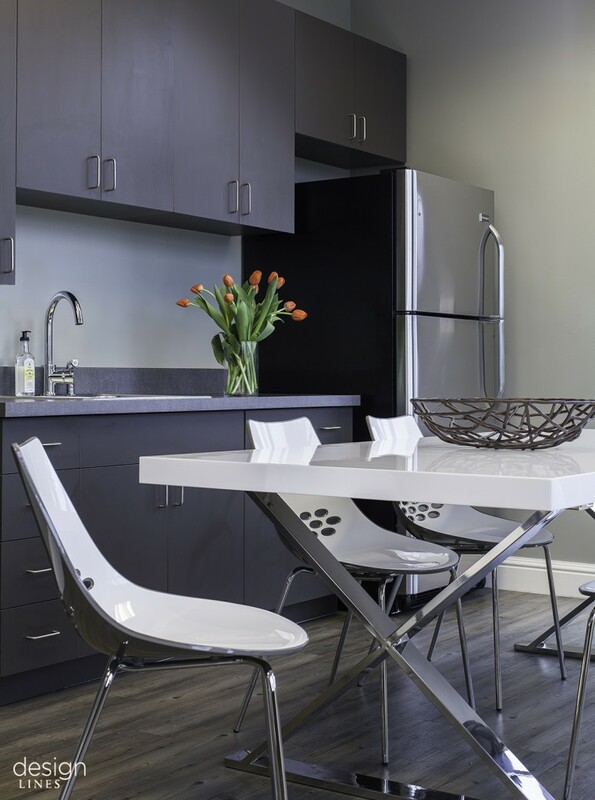 Rob drew on his background in architecture to create a modern space incorporating various custom details and architectural features. The result is a spa-like atmosphere that makes the experience of visiting the doctor truly enjoyable. The design aesthetic extends to the exterior with custom typography and a sophisticated palette. 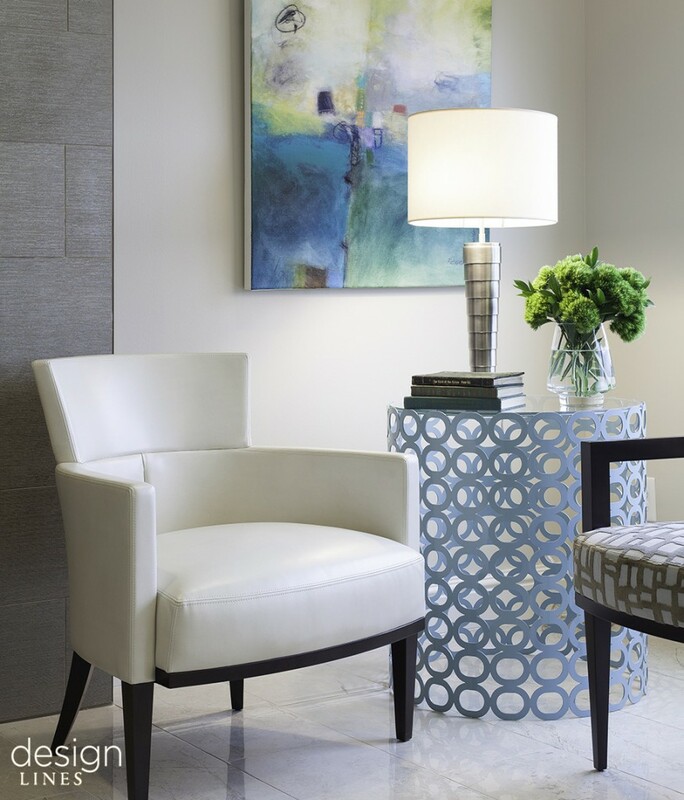 A custom desk greets the patients as they check-in for their appointment. 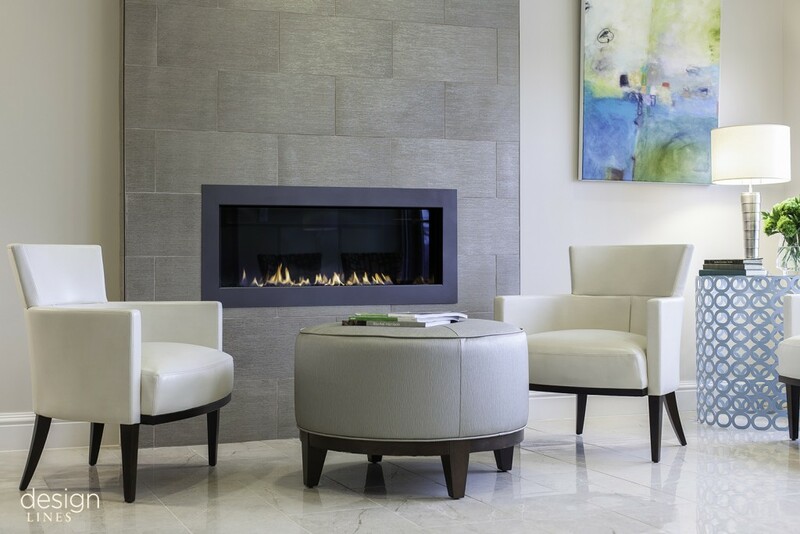 A modern gas fireplace anchors the waiting area. 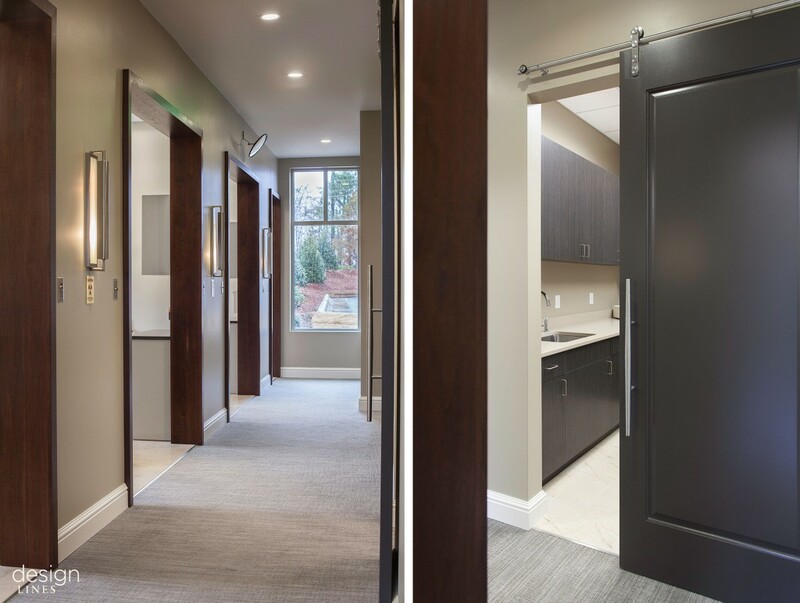 The exam rooms are adorned with natural walnut thresholds. In this office design, even the secondary spaces are given an exceptional level of detail. No matter where you work, great design can make you feel at home.